This study, conducted by the Dr. Edgar Mitchell Foundation for Research into Extraterrestrial Encounters, represents the first comprehensive multi-language investigation on individuals who have reported to have had unidentified flying object (UFO) related contact experiences with non-human intelligence (NHI). Our research methodology utilized two comprehensive quantitative surveys totaling more than 600 questions administered in 3,057 subjects. This study addressed several topic areas which included a diverse range of physical, psychological, perceptual, and anomalous aspects of claimed contact experiences. The results revealed complex interactions with perceived NHI that involve physical changes, altered states of consciousness and paranormal experiences. What may be the most significant aspect of the results is that over 85% of the study population claimed to have had very similar major positive behavioral transformations as a direct outcome of their UFO related contact experience(s) with NHI. The Quantum Hologram Theory of Consciousness (QHTC), which explains the nature of our reality and non-ordinary states of consciousness, may provide the foundation for understanding the interrelationship between the various “contact modalities” (e.g., UFOs, NDEs, OBEs, telepathic communication, channeling, remote viewing, orb sightings, etc.) within a multidimensional reality. The FREE Experiencer Research Study, conducted by the Dr. Edgar Mitchell Foundation for Research into Extraterrestrial Encounters (FREE), is the first comprehensive research study on individuals that have had contact experiences with an unidentified flying object (UFO) and associated non-human intelligence (NHI). More specifically, this study represents the first combined quantitative and qualitative analysis of a large population that is both multi-language and cross cultural, which address numerous topic areas associated with the UFO contact phenomenon. All subjects in this study reported via conscious explicit memory to have observed a UFO and had physical or telepathic based contact with one or more forms of NHI. The primary objective addressed in this study pertains to the reported nature and incidence of physical, psychological, paranormal, and perceptual UFO and NHI “contact experiences”. The FREE study paradigm is not similar to the traditionally applied physical “nuts and bolts” research approach by ufology investigators. Instead, it addresses a diverse range of perceptual and non-ordinary conscious based interactions associated with reported UFO and NHI contact experiencers. More specifically, the quantitative survey results and associated discussion addressed in this paper represent the first in a series of articles by the FREE. The results and analysis of the qualitative results from our on-going study, which is in the process of collection and analysis from a subset of subjects who participated in our survey, will be presented in subsequent papers. Combined, both the quantitative and qualitative results from the same large database of “contact experiencers” should help to provide a more comprehensive and informative representation of this phenomenon. Collectively, the results as explained by the Quantum Hologram Theory of Consciousness (QHTC), may offer important implications towards the nature of this reported experience, and possibly even consciousness, and reality itself. Given this brief historical context, the QHT of consciousness, as articulated by FREE co-founder, Dr. Edgar Mitchell, suggests that we live in a multi-dimensional reality and within this construct, humans are having contact with NHI in multiple formats, or “contact modalities” (e.g., UFO related contact and contact via NDEs, OBEs, hallucinogenic substances, mystical meditation travel, channeling, remote viewing, sightings of spirits/ghosts and orbs, and other reported human encounters with NHI). (Hernandez, 2013) The QHTC argues that all of these “contact modalities” are not separate phenomenon but instead are part of one interrelated phenomenon. (Swanson, 2003) (Hernandez, 2013) (Klimo, 2014) (Schild, 2014) The QHTC views contact with NHI as a complex phenomenon that can potentially be explained by the physics of an all-pervasive multi-dimensional Quantum Hologram. Consequently, the QHTC is a proposed framework in modern physics that can encompass the physical as well as the psychic, spiritual and other so-called “paranormal” aspects of contact with NHI, among other unexplained experiences (e.g., NDE, OBE, telepathy, and the paranormal, etc.). The primary concern addressed in this study pertains to the incidence of responses from a large sample of UFO experiencers (N = 3,057) who report to have had conscious explicit memory of interactions with forms of NHI associated with a UFO. While no firm conclusion can be made, one theory advanced to possibly explain the nature of this experience, is the Quantum Hologram reality of space/time, as represented by the QHTC. It is important to note, however, that the FREE does not claim to be able to provide rationale for this phenomenon. The intention is to simply propose ideas and a possible rationale to facilitate discussion, consideration, and continued multidisciplinary research in this arena. This is just an initial step in a long process to better understand what governs and regulates this phenomenon. It is hoped that this paper will help others to assimilate the FREE study results in order to better understand and interpret a unique and profound personal event(s) which often facilitates pronounced behavioral and spiritual effects in contact experiencers. At the very least, the results may serve as a foundation for other researchers to interpret, debate, and build upon through subsequent research, in order to gain greater understanding of a unique and transformative experience shared by many thousands, if not millions of individuals worldwide, who are yearning for an answer. The FREE engaged in extensive publicity to recruit subjects for our study. This was accomplished through interviews on radio shows, postings on websites, monthly mailings to individuals and organizations, and phone conferences with researchers. This recruitment process solicited those with interest in one or more disciplines, which included ufology, physics, psychology, parapsychology, and consciousness studies, among others. All subjects (N = 3,057) provided consent to participate in this study and were completely anonymous. They were asked to respond to questions in all phases of the study based solely on conscious explicit memories and not lucid dreams, hypnotic regressions, or other types of memory recall. All subjects included in this study reported that they have never been diagnosed with a mental illness by a licensed mental health professionl. The application of a standardized psychological battery of tests could not be applied due to the significant time and cost involved in administering a battery of tests in all participants. Thus, the psychological state of the subjects cannot be accurately defined which is an admitted weakness and confounding variable of this study. The FREE study is being conducted in multiple languages: English, Spanish, French, German, Mandarin, and Slovak. Collectively, subjects from over 105 countries comprised our study population. While most previous studies have focused on limited UFO “abduction” related questions, the FREE study explored areas that have never been so comprehensively addressed in this arena. More specifically, this study addressed six major topic areas with sub-topics for each area as follows: a. Family History of Contact; b. Contact Experience; c. Nature of NHI; d. Information Received by NHI; and e. The Physical Experiences resulting from this NHI contact. The sub-topics for each major topic area are included in the Appendix. A summary of the FREE study results is presented in this results section. This synopsis is based on the Phase 1 and 2 survey results provided in the Appendix. What may be the most significant aspect of the results is that over 85% of the study population claimed to have had very similar major positive behavioral transformations as a direct outcome of their UFO related contact experience(s) with NHI. This is represented by a reported strong increase in several personal and spiritual ways as follows: concern with spiritual matters; ability to love, help, and have compassion for others; appreciation of the ordinary things in life; insight into the problems of others; concern for the welfare and ecological matters of our planet; understanding of what life is all about; and a conviction that there is life after death, among others. Personal attributes which strongly decreased included: concern with material things in life; interest in organized religion; and fear of death. Overall, 50.9% reported a “Highly Positive Effect” and 21.7% reported a “Slightly Positive Effect” on “changing their life” directly from their UFO-NHI interaction. In contrast, only 4.3% reported a “Highly Negative Effect” and 6.7% a “Slightly Negative Effect”. Further, only 9.7% believed the NHI are malevolent; 62% stated that the NHI “helped them”, 71% felt “expanded consciousness” in their presence, and 66% perceived love from these beings. These behavioral outcomes do not occur after a fantasy or hallucination. A variety of subject opinions pertaining to the associated contact experience included the following: a) 93.5% agree that NHIs from other planets or dimensions, are already among us; b) 86.4% agree that there are higher-order intelligences that have a concern with the welfare of our planet; c) 79% agree that we are already in or at least on the verge of a New Age and that NHIs have a role in this; d) 78% believe that the changes they have undergone since becoming interested in UFO experiences are part of an evolutionary unfolding of humanity; e) 74% believe that evolutionary forces are already at work which will transform humanity at large into a more self-aware, spiritually sensitive species and that the NHIs have a role in this; and f) 72% believe that we are now living through a time of greatly accelerated spiritual evolution, g) 55% received “telepathic” messages, or thought transferences from NHI and of these, 1,010, or 62%, have been downloads of advanced science, physics, and technology. Of the 1,437 individuals who reported to have physically seen a NHI, 63% said they had witnessed a NHI; 72% interacted with the NHI and of these, 85% interacted with NHI more than once, and 54% have seen NHI more than 10 times. Interestingly, the “Human Looking Being” was one of the most common types seen: a) 55% saw Energy Beings, b) 52% saw Human Looking Beings, and c) 50% saw Small Greys. Additional results which pertain to the diverse range of physical, psychological, perceptual, and anomalous aspects of reported “contact experiences” from the study population are included in the Appendix. The consistency of reported NDE and UFO contact experiences may be critical for understanding the relationship between the brain and consciousness, and possibly even reality itself. Although our current medical and scientific concepts are inadequate to explain all aspects of these and other phenomena, certain features of the experiences appear to correspond with some of the basic principles from quantum theory. This includes non-locality, coherence, and instantaneous information exchange in a timeless and placeless dimension. These concepts, which attempt to explain the nature and outcomes associated with various contact experiences, combined with the experimental results in non-local intuition, suggest that our consciousness may be separate from our physical body and capable of affecting events remote from our body. (Puthoff and Targ, 1976) (Puthoff, 1996) (Radin, 2006) (Tiller, 2004) (Nelson and Jahn, 1998). More specifically, if sensory information processing is in fact “non-local” it may explain the reported altered perception and images often described as a dimension without time and space associated with an NDE, OBE, and UFO contact experience, etc. A related, perhaps more ambitious and challenging, perspective argues that the fundamental nature of all experienceable reality is consciousness itself, and that, rather than consciousness being seen as an emergent epiphenomenon of physicality (including the brain) it is physicality that is an emergent epiphenomenon of consciousness. The complete opposite of materialism, this is the philosophical view of idealism. As quantum physics evolved from its early 20th century roots, it has become increasingly difficult to keep consciousness out of our scientific understanding of the nature of physical reality and how we experience it. This has led one of us (Klimo) to develop, beginning in the early 1980s (Klimo, 1997), a theoretical model that integrates quantum physics and the study of consciousness into a new field called “Quantum Idealism.” In current mainstream scientific thinking, and in cognitive science and consciousness studies in particular, there is something called the “hard problem.” This problem is how to explain what we know intimately and experientially as our own self-aware consciousness and all its “qualia” only in terms of its completely physical origins of bioelectrical and chemical matter and energy interactions at the neuronal level in the brain. Nobody has yet been able to successfully solve this ‘hard problem’. If, however, the picture is inverted, then the new hard problem to be faced by any idealist viewpoint would be trying to explain how all things spatiotemporal and completely matter-and-energy physical in nature can be derived solely from an all-constituting underlying reality that is pure consciousness (and spirit), which might eventually turn out to be more fruitful root. 1. We humans (and all other kinds of individualized beings throughout the universe [e.g., NIHs] across all its dimensions, frequencies, levels, densities, et al.) are like relatively dissociated “sub-personalities” existing as part of a single universal, coherent, undissociated Being, and we can only know and experience that Being, and each other, state-speciﬁcally through the tremendously fracturing and delimiting lenses of our own respective kinds and degrees of dissociation (expanding on the traditional psychological notion of dissociation). We experience the underlying unity condition of the one Being as a function of our own dissociation, which renders the Oneness into a bewildering and babble-like Many. We and all we can experience are dissociated, separated-away creations and individuations of that Oneness. 2. I call this separated-apartness a state of “cosmological dissociation,” while the slow individual and conjoint process of eventually returning to and joining that underlying Oneness I call a process of “overcoming cosmological dissociation”– a multifaceted endeavor which characterizes at its heart most of our religious/spiritual and scientiﬁc/technological activity throughout history. To the extent to which one is able to overcome one’s kinds and degrees of cosmological dissociation, one may access increasingly more of the consciousness, contents, potentiality, capacities, and identity of the one underlying Being. 3. The state of cosmological dissociation is highly related to, or is the same as, a state of quantum decoherence; and the state of un-dissociated oneness obtained through a sufﬁcient overcoming of one’s state of cosmological dissociation is highly related to, or is the same as, a state of quantum coherence. The Quantum Hologram model of Mitchell et al. being featured in this paper should be seen at present as a more-timely and acceptable explanation of the relationship of consciousness and the paranormal to physical reality than the Quantum Idealism model just presented. The latter still needs to develop from its present primarily philosophical orientation to one that is more scientific and able to be engineered. The former is seen as being more accessible and useful to the present-day scientific community than the latter’s more philosophical version. The FREE study results, while subject to interpretation and debate, may indeed be associated with an advanced form of NHI. This seemingly implausible outcome cannot be entirely ruled out. After all, our universe, which is estimated to be approximately 14 billion years old contains approximately 60 billion habitable exoplanets within our own Milky Way galaxy and at least 2 trillion galaxies in the observable universe. For most astrophysicists and exobiologists, this creates a 100% certainty that we are not alone. (NASA 2016) In fact, physicist Michio Kaku described a highly evolved Type IV Civilization whose energy source could be “extragalactic”; one that can possibly harness the infinite energy and information of the zero point energy (ZPE) fields of the Holographic Multiverse. If valid, with the technology developed by this advanced civilization, instantaneously travel to any location in the universe may occur along with the ability to manipulate time and space. (Kaku, 2005, 2008) The question remains as to whether or not such an advanced intelligence is actually visiting Earth and interacting with humans. The QHTC, a model that describes the basis for consciousness, explains how living organisms know and use information, and how the role of information in nature maintains the same fundamental status as that of matter and energy. More specifically, the QHTC considers consciousness an essential component of the universe, and that all matter possesses subjective characteristics of consciousness (i.e., the foundation of everything). (Mitchell, 1995, 2001, 2003, 2011). The QHTC, which considers consciousness as non-local in the same way that quantum objects behave in a non-local manner, has potential significant implications for understanding anomalous events associated with the “contact modalities”. In fact, physicist Claude Swanson’s proposed Synchronized Universe Model (S.U.M) attempts to explain how contact modalities are interrelated under ZPE quantum fields which serve as the foundation for human consciousness. (Swanson, 2003) Collectively, the S.U.M and QHTC have the potential to help explain many of the phenomena traditionally associated with NHI based experiences that are inconsistent with traditional scientific principles (e.g., consciousness and the nature of reality). Human consciousness has been a focus of study in the fields of neuroscience, biology, psychology, physics, and philosophy in an attempt to better understand the nature and meaning of consciousness and how our brain provides a sense of an individual “self.” This objective has been approached in different ways consistent with the theoretical principles and research methods unique to each discipline. Many neuroscientists, for instance, adhere to the materialist framework that matter is all that exists and that cortical neuro-electrical activity facilitates all cognitive experiences and one’s sense of “self”. (Beauregard, 2012) (Davis, 2016) (Nelson, 2011) (Romijn, 1997) (Walker, 2000) (Wigner, 1983) But despite these efforts, the neurological substrate which facilitates consciousness and one’s sense of “self”, among other aspects of complex cognitive functioning, remains elusive. That is, there is no widely accepted theory of how the brain facilitates self-awareness, intention, and abstract thought. (Chalmers, 1996) (Goswami, 1993) (Walker, 2000) (Wilber, 2001). The apparent enigma with the concept of “consciousness” is that it is difficult to define and implicates many different things. The QHTC states that our universe, instead of being a 3-dimensional spatial construct, is actually a 4-dimensional construct which includes time (past, present, and future) and is more like a holographic image built up by interacting vibratory waves. According to Mitchell, the quantum hologram is “a model that describes the basis for consciousness. It explains how living organisms know and use whatever information they know and utilize. It elevates the role of information in nature to the same fundamental status as that of matter and energy.” (Mitchell, 2001). Consequently, the QHTC serves as a basis for explaining how the whole of creation learns, self-corrects and evolves as a self-organizing, interconnected holistic system. (Mitchell, 2001) Thus, the QHT postulates that at the subatomic scale of matter all objects in the universe retain evidence of each event that has occurred to them which is stored in a holographic form that can be retrieved by the mind when it “attends” to an object. Even though our physical senses and our brain might perceive the world as solid, we may actually live within a vibrating energy matrix composed of fluctuating particle-waves. It is described as a hologram since it allows for the description of higher dimensional reality in its physical dimensional properties. (Marcer and Mitchell, 2001). This concept is represented in the spectrum of quantum hologram resonance in Figure 1. According to Mitchell, the simplest form of resonance is shown on the far left side of this Figure. Moving to the right, various phenomena are represented with increasing degrees of resonance. The idea that consciousness may be non-local originated with one of the inventors of quantum theory, Erwin Schrödinger. Schrödinger hypothesized that the quantum mechanical wave function serves as a “field of consciousness.” He was the first to propose that Extra Sensory Perception (ESP) could be explained by realizing that the quantum wave function extends over the entire planet and that our minds are immersed in it. (Schrödinger, 1967, 2008) Schrödinger laid the foundation for physicists and neuroscientists to further develop his initial theory that there might be some type of universal consciousness, or a “group mind” effect that can explain ESP and the paranormal contact phenomenon. (McTaggart, 1987) (Swanson, 2003) Consequently, the QHTC may serve to explain how the whole of creation learns, self-corrects and evolves as a self-organizing, interconnected holistic system. Nobel Prize physicist Dennis Gabor, physicist/mathematician David Bohm, and neurophysiologist Karl Pribram, developed the early holographic theories and a model for human cognition. They hypothesized that the brain operates in a manner similar to a hologram, in accordance with quantum mathematical principles. That is, the brain may actually be processing ordinary images into interference patterns which are then transferred into virtual images just like a laser hologram. Furthermore, these quantum waves have the ability to store vast quantities of information (Schroedinger’s “field of consciousness”) which is accessed by the brains to create our three dimensional reality. (Bohm, 1980, 1993) (Pribram 1977, 1991, 1997, 1999) The later work by anesthesiologist, Stuart Hammeroff and physicist, Roger Penrose, built upon Pribram’s and Bohm’s work and hypothesized that quantum activity within the neuron interact non-locally with other neurons and, along with the quantum hologram, facilitate a “conscious event”. (Hammeroff, 1994, 1996) (Penrose 1989, 1994, 2011) Their theory, advanced as the foundation for human consciousness, NDEs, OBEs, and possibly for even one’s perception of reality after death, has not been uniformly accepted within the scientific community. The next step in holographic theory was developed by mathematician Walter Schempp, one of the inventors of magnetic resonance imaging (MRI). Shempp developed a mathematical model called “Quantum Holography” which states that all information on physical objects is carried in the quantum fluctuations of the Zero Point Field (ZPF). (Schempp, 1992, 1998, 1999) In fact, physicists Hal Puthoff and Bernard Haisch argued that the ZPF consists of a vast memory state. (Haisch and Putoff, 1997, 1998) As an extension of this concept, Schempp developed a mathematical model showing how the ZPF information can be recovered and reassembled into a three-dimensional image similar to MRI technology. (Shempp, 1999) Conceptually, MRI operates in a similar manner to the concepts developed by Pribram generated from brain research, i.e., information encoded in the ZPF manifests as images. The mathematical theories of Shempp and Bohm’s original theory on the QH were then further refined by physicist, Peter Marcer, who proposed that phase-conjugate-adaptive-resonance resonance (PCAR) is necessary for the brain to perceive objects as they really exist in three dimensional space. (Marcer and Schempp, 1996, 1997, 1998a, 1998b) (Marcer and Mitchell, 2001). This concept is illustrated in Figure 2. The QHTC states that we do not see physical objects but instead only their quantum information and from this information our brain then constructs our three dimensional perception of reality through PCAR. Consequently, at the subatomic scale of matter, everything in the universe is interconnected. That is, all objects in the universe retain evidence of each event that has occurred and that this information is stored in holographic form. (Mitchell, 2003) Taking this complex concept further, physicists contend that the brain constructs “concrete” reality by interpreting such frequencies from another dimension which transcends time and space. Accordingly, the brain may behave as a hologram by interpreting a holographic universe and their interrelatedness, which somehow gives rise to our existence and sensory images. Interestingly, this “holonomic brain theory” of quantum consciousness or “holistic” view of reality (i.e., a whole system being more than just the sum of its parts) has garnered increasing support among many within mainstream science. The theories and associated experiments in quantum physics, (e.g., law of entanglement, superposition, non-locality, and the “observer effect”, etc. ), concommitent with anecdotal evidence from the FREE study results and research in NDE, OBE, and parapsychology, among other phenomena, lend indirect evidence to support the concept that our consciousness may influence and give rise to various phenomena that seem to exist in the physical world. Such phenomena, which cannot be currently replicated in the true scientific sense, may one day point to the existence of non-material dimensions of reality, and explained by quantum physics. Utilizing the principles of Mitchell’s and Schild’s QHTC model, one may explain how humans are having both physical and psychic paranormal contact experiences. Although perception in the three dimensional world requires and utilizes resonance (i.e., PCAR), most humans do not routinely bring to conscious awareness of non-local information when operating in ordinary three-dimensional reality. (Mitchell, 2001) It is the person who is in a high state of resonance with the quantum hologram that may be able to experience the quantum information involved in telepathic transmission and even in non-ordinary states of consciousness. The QHTC allows for distinctions that occur in our consciousness and those that can manifest on a physical scale to possibly better understand the relationship between consciousness and the brain. This principle may explain how many things interact with one another such as thoughts in telepathic experiments and perceptions of events without the use of our ordinary senses. For example, if a person’s consciousness is shared with another in the QH field and they are in close contact, telepathy may occur, i.e., it is not confined to the location of the person or object and is “non-local”. The QHTC, therefore, may provide for the mechanism that enables a type of awareness or form of consciousness which may extend beyond the brain and interacts with matter and energy. While certainly a matter for debate, the QHTC and/or associated theories, may provide the underlying foundation to help explain the consistent reports from subjects in our study who claim to have interacted with NHI and have traveled instantaneously, both physically and via an OBE, to alternate dimensions via their thought. Despite the many unresolved questions associated with how the information of the QH may be transmitted over vast distances, many physicists such as Nobel Prize recipient E. Wigner are realizing the implications of quantum mechanics for possibly explaining anomalous events. Wigner considers theories in quantum mechanics as proof of “the existence of “God” or some form of “cosmic consciousness”, while physicist and brain researcher C. Hellwig advocates that consciousness is a quantum state, and that “our thoughts, our will, our consciousness and our feelings show properties that could be referred to as spiritual properties”. (Wigner, 1983) (Hellwig, 2006). Support for this complex notion may be evidenced, in part, by reported ESP experiments which tend to illustrate that “telepathy” is not affected by distance (outside space) and “precognition” providing information of future events, is not limited to linear, time-progressing, cause and effect (outside time). Through extrapolation of such evidence, it may be possible for a characteristic of consciousness to remain unaffected by death and to continue to function, in some capacity, in some undefined realm of existence beyond our 3-D space-time continuum. In fact, 71% of the subjects in this study agreed with the statement that: “In my opinion, the widespread occurrence of experiences with unidentified entities is part of a larger plan to promote the evolution of consciousness on a species-wide scale”, and 70% responded “yes” to the question that: “Did you feel a sense of expanded consciousness in the presence of these unidentified entities?” Further, 55% of the subjects in this study reported to have received “telepathic” messages, or thought transferences from NHI. The literature of parapsychology has documented many examples of individuals that have the ability to utilize resonance and routinely perceive the non-local holographic information associated with a particular target object. Examples include individuals who claim to routinely have OBEs and the ability to control with specificity their OBEs. Many of these individuals also report to have had repeated contact with NHI during their OBEs and to astral travel via their thought to alternate dimensions within the QH. (Alegretti, 2004) (Buhlman, 2001) (Minero, 2012) (Monroe, 1977) Similarly, 30%, or 519 individuals in this study reported to have had contact with NHI during an OBE. Evidence to support the concept of non-locality was demonstrated through the Global Consciousness Project at Princeton University. This research yielded strong evidence of the link between the quantum vacuum and processes occurring within the collective human mind on earth. (Jahn, 2000) Telepathic experiments by psychologist, Dean Radin, also suggests that ESP may be explained by the QHTC. For example, the results of variations of staring experiments from 33,357 trials over sixty experiments resulted in an overall success rate of 54.5% as opposed to the 50% expected by chance. This outcome registered odds against chance of 202 octodecillion or 2 × 1059 to one. (Radin, 1997, 2006) These results, among those reported on mental intuition, remote viewing, OBEs, and NDEs, suggest that perception of reality without the use of one’s physical senses during non-ordinary states of consciousness may be facilitated by the experiencer’s high state of resonance with distant locations apart from the body. By doing so, the experiencer retrieves and processes the QH information of remote events non-locally. (Puthoff and Targ, 1976) (Puthoff, 1996) A similar explanation may account for claims of past life experiences and communicating with the deceased. In fact, Mitchell contends that someone in a state of high resonance is able to retrieve QH information about the deceased from that resonance condition contained within the QH. Experimental evidence in past life recall, ESP and precognition may also support the theory that the past and future co-exists in the QH and can be telepathically experienced. If valid, past-life memories indicate that the coherence of consciousness and the information about the past is somehow retained as stored information which may be accessible to some under certain circumstances. (Mitchell, 2011) Certainly, the outcomes of such experimental results and anecdotal reports of unique abilities (e.g., telepathy, OBE, energy healing, and astral travel) must be subjected to verification and authenticity before concluding as fact. The theoretical S.U.M, QHTC, ZPF, and PACR, may be extended into the UFO related physical and mental based contact experiences with NHI. The extraordinary experiences associated with this phenomenon, which clearly defy logical explanation using known scientific principles, may indeed be facilitated through the perception of an alternate realm. That is, one’s 3-D reality may somehow merge or be assumed by an information-based alternate space-time environment (i.e., multi-dimension or multiverse) central to the phenomenon. This causal personal effect may possibly account for the unexplained so-called “high strangeness” inherent in the many thousands of subject reports in the FREE study. Certainly, these types of unusual experiences may have also been facilitated by something which cannot be conceptualized at present. Regardless, it is very difficult to either reject or confirm any hypothesis through a validation process since the scientific method and principles routinely applied in research does not easily conform to the anecdotal testimony associated with reported UFO contact experiences. Subsequently, the FREE study results cannot be sufficiently explained and justified at the present time. Despite the lack of validation, the consistency of such similar outcomes warrant the need to further study aspects of these results within the physical, behavioral, and social sciences. The FREE study results indicate that reported UFO contact experiences incorporates a diverse range of physical, psychological, perceptual, and paranormal anomalous activity that involve both perceived physical beings and non-ordinary states of consciousness. The altered patterns of behavior and associated psycho-spiritual transformative outcomes reported by over 85% of experiencers represent the most significant aspect of the FREE study results. Such behavioral outcomes may manifest in one or more forms of personal growth and philosophical values, and an awareness and knowledge of other realities (e.g., more spiritual, compassionate, loving, psychic, understanding of oneself and purpose in life, more concern for the environment; less egotistical, less concern for monetary values, etc.). Collectively, such outcomes may be explained by the QHTC which suggests that “paranormal” modalities (e.g., contact with NHI via UFOs, NDEs, OBEs, remote viewing, channeling, and shamanic journeys, among other non-conventional states of reality) are interrelated. Although current medical and scientific concepts are inadequate to definitively explain all aspects and associated outcomes of these experiences, their features appear to correspond with some of the basic principles from quantum theory such as non-locality, entanglement, superposition, and instantaneous information exchange in a timeless and placeless dimension. If valid, the QHTC may offer potentially important implications towards the nature of consciousness and even reality itself. One interpretation for the psycho-spiritual outcomes reported by subjects in the FREE study was advanced by co-founder of FREE, and counsellor, hypnotherapist, metaphysical teacher, and intuitive healer, Mary Rodwell. Rodwell offers a comprehensive guide which explains the process of behavioral transformations or ‘awakening’ to “Contact” in her book entitled: “Awakening: How Extraterrestrial Contact Can Transform Your Life” (Rodwell, 2010). This book provides needed guidance to individuals who tend to live in isolation, fear, and confusion through lack of understanding the essence and impact of their extraordinary contact experiences. This resource serves as a catalyst for experiencers to realize and integrate the essence of the revelations incurred from their “multi-dimensional” experience with UFO contact and other phenomena associated with interactions with NHI. More specifically, as the experiencer awakens to their multi-dimensional reality, this revelation serves as a catalyst for many other intriguing “expressions” of Contact. According to Rodwell, “contact awakens a change in human consciousness, which not only manifests in terms of personal growth and philosophical values, but offers an awareness and knowledge of other realities”. (Rodwell 2010) Collectively, this “trigger for change” occurs once the experiencer realizes that everything is connected, that they are both a physical and spiritual being, and that we are part of a multi-dimensional reality. And once one’s “spiritual eyes” are opened by sudden contact with NHI and exposed to other dimensions that condition assumes predominance and experiencers are transformed by this realization with fierce determination. This outcome, confirmed by the results reported by contact experiencers in the FREE study, apparently shifts one’s perspectives to live with more gratitude, love, trust, and empathy. This “trigger for change” may have, in part, been facilitated in many subjects in our study who frequently aligned with the word “oneness” to help describe the intense awe inspiring emotions incurred during their contact experience, e.g., 54.5% reported to have “felt united or one with the world”, and 38% stated that they “suddenly seemed to understand everything about the Universe”. For these individuals, the UFO-NHI interaction served as their “trigger for change”. For Edgar Mitchell, the “trigger for change” may have been viewing the universe on Apollo 14 on his trip back from the Moon. According to Mitchell, “something happens to you out there. You develop an instant global consciousness, a people orientation, an intense dissatisfaction with the state of the world, and a compulsion to do something about it.” He described this emotion as an “interconnected euphoria.” (Mitchell, 1996) Similar feelings of awe are induced by numerous contact modalities. The UFO-NHI experience may be just one of many. In fact, psychiatrist, John Mack, who conducted research on over 300 individuals who reported to have had a UFO abduction experience, concluded that, “people know their experiences and what they have undergone does not fit with the prevailing mechanistic worldview. Large percentages of people seem to know there is an unseen world, or hidden dimensions of reality.” (Mack, 1999) What arguably has been most frustrating for UFO contact experiencers, however, has been the way in which their personal experiences generally have been handled by the general public and scientific community. Related to Rodwell’s work, one of our co-authors (Klimo), in a recently published textbook chapter, “A New Category of Diversity for Those with Non-Ordinary Experiences: The Care and Preservation of Private Experience and Beliefs,” has offered to the American Psychological Association his attempt to advocate for a better, non-psychopathological understanding of, and for new ways of helping, those having anomalous or paranormal experiences and beliefs, such as those involving contact with non-human intelligences. This is particularly salient given the findings of FREE study being presented here, which emphasize the largely positive growth enhancing nature of the participants’ contact experiences with NHIs. As part of this work, Klimo and others have been working to pioneer the emerging field of “clinical parapsychology”(and in light of the present article, what might be called “clinical extraterrestriology” as well). Someone trained in such a new multidisciplinary field of practice would be able to effectively work with individuals having parapsychological and otherworldly-type anomalous or paranormal experiences and beliefs in one or more of the following ways: To a.) provide psychotherapeutic and counseling support; b.) provide education, explanation, and informational resources; c.) provide referrals to researchers, laboratories, experts, psychics, healers, practitioners, and other experiencers; d.) function in a forensic psychology expert witness capacity; e.) administer psychological testing and other ways of evaluating levels of function, adaption, reality testing, and diagnosis; e.) help the individual successfully live with his or her non-ordinary experiences, beliefs, and/or abilities; f.) conduct testing or research to adjudge the verdicality of claims made by the client; and g.) function as an educational and consciousness-raising consultant to organizations, institutions, and the media regarding parapsychological and otherworldly experiences and beliefs (Klimo, 2016). A Kundalini awakening may also be triggered by intense personal experiences such as a NDE, OBE, meditation, emotional trauma, and extreme mental stress, among others. If a “Kundalini awakening” results in one experiencing a so-called “expanded consciousness” and associated psycho-spiritual attributes, then a UFO-NHI event may serve as one of many diverse triggers for such “awakening” in contact experiencers. In fact, Stanislav and Christina Grof described this spiritual emergency as a crisis often resulting in intense emotions, unusual thoughts and behaviors, and perceptual changes. This crisis often involves a spiritual component which may incorporate experiences of death and rebirth, unity with the universe, and encounters with powerful beings. Such crises, which may also be facilitated by UFO-NHI experience, bring about the potential for profound psychological and spiritual change but often appear to be similar to psychotic disorders. (Stanislav Grof and Christina Grof, 1989) Not surprisingly, the complex symptoms associated with Kundalini awakening may be viewed as an acute psychotic episode by psychiatrists who are not familiar with this concept. Certainly, the same conclusion may be made in individuals who report similar psycho-spiritual outcomes facilitated by UFO-NHI based contact experiencers. This is evidenced in our study as follows: 82.5% believed there is a “connection between NHI” and the “spirit world”; 89% said there is a “connection between NHI” and the “paranormal”; and 75.4% felt there is a connection between NHI and reincarnation. Collectively, the positive psycho-spiritual outcomes reported by over 85% of our study population may be associated with their new-formed awareness that they are a spiritual being having a human experience. They develop an innate awareness that they are indeed a multidimensional being and that their true essence does not reside solely in the physical body. While subject to debate, the reported diverse non-ordinary states of consciousness related with UFO contact, suggest that there may exist a multi-dimensional QH reality, that humans might be physical and ethereal beings, and that NHI interacting with us might be advanced multi-dimensional beings. The overarching question is whether or not such concepts represent contact communications of holographic information which brings about a greater understanding of who and what we are. The extraordinary anecdotal experiences and associated outcomes reported by subjects in the FREE study cannot easily be authenticated and validated by traditional scientific research principles. Regardless, this study, which will admittedly be subject to criticism by mainstream science, should not limit its’ relative importance since many thousands, if not millions of individuals’ worldwide, report to have been significantly transformed by their experiences with UFOs and NHIs and other forms of “contact experiences”. FREE does not pretend to have a definitive answer to explain the results of our study. The research objective is to simply present our study results and to propose possible explanations to account for such results as a foundation for others to synthesize, study, and debate. Clearly, many more questions than answers are generated by the FREE study. More specifically, can aspects of psycho-cultural influences, psychological aberrations (e.g., psychosis, dissociative experience, post-traumatic stress disorder, absorption and magical ideation, and an openness to unusual concepts), illusions induced by whatever means, or something else that we cannot conceptualize nor explain using known scientific principles, facilitate the behavioral transformative attributes reported by contact experiencers? Or is actual interaction with a form of NHI occurring which produces a profound “awakening” and associated intense insights about one’s self and the nature of reality? At the very least, further research is warranted to build upon the preliminary results of the FREE study, and through our combined research efforts, the nature of this phenomenon may be realized. That is, our study objective is to provide a foundation for interpretation and discussion by others, to increase public awareness, and to encourage continued research for validation purposes. Based on the FREE study, there are only two conclusions that can be made with confidence: 1) thousands, if not millions of people worldwide, claim to have UFO contact experiences with various forms of NHI which tend to result in many positive behavioral and spiritual outcomes, and 2) “contact may not offer the scientific “concrete” data we all prefer to have, but proof of this experience is in the face, mind, and emotions of those who are in it”. (Rodwell, 2010) After all, science’s purpose is to rationalize the unexplained. But science can’t explain them all at the present time. Consequently, it may be best to keep an open mind and remain humbled by what we don’t know. In summary, following their “contact experience”, the vast majority of subjects from our study reported much needed mental strength in the form of a greater self-confidence, self- love, inner peace, and extreme control over their negative thoughts which brought positivity and happiness. They seem to have evolved by their greater understanding of why they are here and what the greater picture of life is all about. Collectively, the individual’s UFO-NHI experience, and the associated unique similarity of behavioral outcomes acquired from this experience, are certainly a matter of speculation, debate, and awe. The obvious simple, yet elusive question is why? The authors wish to acknowledge the contributions to humanity by the late Dr. Edgar Mitchell, one of FREE’s co-founders. During his lunar trip in 1971 as an astronaut of Apollo 14, Edgar experienced a Samadhi awakening, “a sense of universal connectedness”. This awakening began his journey to become one of the world’s pioneers to study “consciousness”; the greatest mystery known to mankind. Edgar’s vision resulted in establishing the world’s leading research institute on Consciousness, the Institute for Noetic Sciences. Growing up in Roswell, New Mexico, the site of the famed 1947 UFO crash, and having conversed with hundreds of military and government officials, Edgar became convinced that UFOs do in fact exist and began to publicly speak on this phenomena. He eventually became the father of the modern UFO disclosure moment. This, in turn, led Edgar to converse with hundreds of individuals who informed him of their contact experiences with non-human intelligence. I should know because I was one of them. Edgar also became deeply involved in promoting the sustainability of Earth and feared that we are destroying our planet and humanity itself. Finally, Edgar’s greatest accomplishment was in developing over the last 30 years of his life, with the assistance of a team of Ph.D. physicists, a model for exploring Consciousness itself, the Quantum Hologram Theory of Consciousness. As Dr. Rudy Schild has informed me many times, Dr. Edgar Mitchell should be the first recipient for a Nobel Prize for “Contributions to Humanity”. He will be deeply missed. Reinerio (Rey) Hernandez is one of the 4 Co-Founders of The Dr. Edgar Mitchell Foundation for Research into Extraterrestrial Encounters, FREE. Rey is currently employed as an Estate Tax Attorney with the US Dept of Treasury. He previously was an Adjunct Professor for 6 years at the New School for Social Research and at the City University of New York. He graduated with honors from Rutgers College, was a Masters Candidate at Cornell University and was a Ph.D. Candidate at U.C. Berkeley in City and Regional Planning where he was the recipient of a National Science Foundation Ph.D. Fellowship. Rey and his entire family have had conscious physical contact with non-human intelligence in their family home, have had many paranormal experiences, and have seen large UFOs, one time at a distance of less than 30 feet. Rey now devotes an extensive part of his life to understanding the true nature of our reality and has lectured internationally on the topics of NDEs, OBEs, ufology, consciousness and the QH Theory of Consciousness. Dr. Robert Davis, an internationally recognized scientist, graduated with a doctorate in Sensory Neuroscience from The Ohio State University and served as a professor for over 30 years. He has published over 40 articles in scholarly journals, written several book chapters, lectured at national and international conferences, and was awarded major research grants. 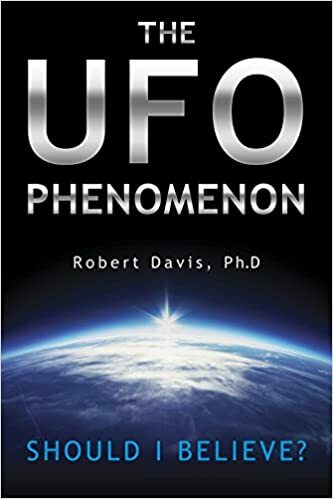 Bob has appeared on over 30 radio shows discussing his two books entitled: “The UFO Phenomenon: Should I Believe?” and “Life after Death: An Analysis of The Evidence”. He has also lectured on the concepts of life after death, ufology, consciousness, and quantum physics at national and international conferences. Dr. Rudy Schild is the Executive Director of FREE and a member of its Board of Directors. Dr. Schild is also an emeritus research astronomer at the Harvard/Smithsonian Center for Astrophysics, following an extensive career studying Dark Matter, Black Holes, and the fluid mechanical origins of Cosmic Structure. Dr. Schild has published over 300 peer-reviewed academic articles on Astrophysics. Because of his long association with Dr. John Mack he has become interested in the formulation of a coherent understanding of the nature of space-time in the Universe, and is a champion of the Edgar Mitchell quantum hologram formulation of the nature of existence and reality. As Editor-in-Chief of Journal of Cosmology he has attempted to broaden the scope of scientific inquiry to include the nature of consciousness and the Universe of Universes. http://journalofcosmology.com/Contents14.html His astronomy website is www.cfa.harvard.edu/~rschild and his personal website is www.rudyschild.com. Rudy resides in Cambridge, MA. Dr. Jon Klimo has undergraduate and graduate degrees from Brown University and a doctorate in psychology, He has taught in doctoral programs and guided dissertation research for 40 years, including eight years at Rutgers University, and, prior to retiring, was for 16 years core faculty and professor in the clinical program at the San Francisco Bay Area campus of The American Schools of Professional Psychology, Argosy University. He is considered the leading authority on the phenomenon of channeling, based on his definitive book, ‘Channeling: Investigations on Receiving Information from Paranormal Sources’ (1987, 1998). In 2006, he co-authored ‘Suicide: What Really Happens in the Afterlife?’ and in 2010, Handbook to the Afterlife. He has published numerous articles and given more than 150 talks and conference presentations and appeared on 20 television and 120 radio programs. He has been a lifelong multi-disciplinarian in the areas of creativity, consciousness studies, parapsychology, transpersonal psychology, new paradigm science, and ufology/extraterrestriology. His website”is: http://www.jonklimo.com. Dr. Claude Swanson received his undergraduate degree in Physics from M.I.T. and his Ph.D. in Physics from PrincetonUniversity. He conducted postgraduate work at Princeton and CornellUniversities on the design of superconducting plasma containment vessels for fusion energy systems, and then carried out numerous consulting studies in applied physics for commercial and governmental agencies. In addition, for the last twenty years, he has conducted research into “unconventional science,” involving new and anomalous physical phenomena which could be the key to understanding the mysteries of consciousness as well as new breakthroughs in energy and propulsion. His latest research focuses on a force which may underlie consciousness, and explain phenomena such as ESP, PK, Remote Viewing and Energy Healing. This energy is called Chi by Traditional Chinese Medicine, prana by Hindu yogis, and “torsion” by modern Russian scientists. It appears to be a force overlooked by conventional Western physics, and may explain many of the unusual aspects of consciousness and “anomalous phenomena.” It also appears to explain the true nature of the aura and is therefore intimately connected to consciousness and healing. Dr. Swanson has summarized his research in two books, The Synchronized Universe, and Life Force, The Scientific Basis. He serves on the Board of Directors of the Monroe Institute, the Dr. Edgar Mitchell Foundation for Research into Extraterrestrial Encounters, and frequently lectures on these subjects. ADAMS, Cameron and David Luke, eds. (2013). Breaking Convention: Essays on Psychedelic Consciousness. Berkeley: North Atlantic Books. ALEGRETTI, Wagner (2004). Retrocognitions: An Investigation into Memories of Past Lives and the Periods between Lives. Miami: International Academy of Consciousness. BEAUREGARD, Mario (2012). Brain Wars: The Scientific Battle Over the Existence of the Mind and the Proof That Will Change the Way We Live Our Lives. New York: Harper Collins Publishers. BOHM, David (1980). Wholeness and the Implicate Order. London: Routledge. BOHM, David and B.J. Hiley (1993). The Undivided Universe. London: Routledge. BRYAN, C.D.B. (1995). Close Encounters of the Fourth Kind: Alien Abduction, UFOs, and the Conference at M.I.T. New York: Alfred A. Knopp. BUHLMAN, William (2001). The Secret of the Soul: Using Out-of-Body Experiences to Understand Our True Nature. New York: Harper One. CHALMERS, David (1996). The Conscious Mind, Oxford University Press, New York. DAVIES, Paul (1992). The Mind of God: The Scientific Basis for a Rational World. New York: Shimon & Shuster. DAVIS, Robert (2015) . The UFO Phenomena: Should I Believe? Atglen, PA: Schiffer Publishing. FULLER, Curtis (1980). Proceedings of the First International UFO Congress, pp. 164–165. New York: Warner Books. GOSWAMI, Amit (1993). The Self-Aware Universe: How Consciousness Creates the Material World. New York: Penguin Putnum. GROF, Stanislav and Christina, Grof (1989). Spiritual emergency: When personal transformation becomes a crisis. New York: St. Martin’s Press. HAISCH, Bernard, Puthoff, Hal (1998). Advances in the Proposed Zero-Point Field Theory of Inertia, 34th AIAA Joint Propulsion Conference, paper AIAA 98, pp. 31-43. HAMMEROFF, Stuart (1994). Quantum coherence in microtubules: A neural basis for emergent consciousness?” Journal of Consciousness Studies 1, pp 91-118. HAMMEROFF, Stuart and Roger Penrose (1996). Conscious events as orchestrated spacetime selections. Journal of Consciousness Studies, 3(1), pp. 3653. HARNER, Michael (1990). The Way of the Shaman. New York: HarperOne. HENSHAW, Carl (2006). “Carl Jung and the Kundalini”. Sol.com.au. Retrieved 2012-07-23. JAHN, Roger (2000). Mind/Machine Interaction Consortium: PortREG Replication Experiments. Journal of Scientiﬁc Exploration. Vol 14. 499. JUNG, Carl (1958) Ein moderner Mythus: Von Dingen, die am Himmel gesehen werden. Zürich and Stuttgart: Rascher. KAFATOS, Menos and Robert Nadeauand (1999). The Non-Local Universe: The New Physics and Matters of the Mind. Oxford: Oxford University Press. KAKU, Michio (2005). Parallel Worlds: A Journey Through Creation, Higher Dimensions, and the Future of the Cosmos. New York: Doubleday. KAKU, Michio (2008). Physics of the Impossible: A Scientific Exploration into the World of Phasers, Force Fields, Teleportation, and Time Travel. New York: Doubleday. KLIMO, Jon (1987). Channeling: Investigations on Receiving Information From Paranormal Sources. Los Angeles: St. Martin’s Press. LONG, Jeffrey (2010). Evidence of the Afterlife: The Science of Near-Death Experiences. New York: Harper One. MACK, John (1999). Passport to the Cosmos: Human Transformation and Alien Encounters. UK. Crown Publishers. MARCER, Peter and Walter Schempp (1996). A mathematically specified template for DNA and the genetic code in terms of the physically realisable processes of quantum holography, Proc. The Greenwich symposium on Living Computers, eds Fedorec, AM, Marcer, PJ, pp 45-62. MARCER, Peter and Walter Schempp (1997). Model of the Neuron Working by Quantum Holography. Informatica 21, pp. 519-534. MARCER, Peter and Walter Schempp (1998a). The model of the prokaryote cell as an anticipatory system working by quantum holography. International Journal of Computing Anticipatory Systems CHAOS Vol. 2, pp. 307-313. MARCER, Peter & Walter Schempp (1998b). The brain as a conscious system. Int. Journal of General Systems. MARCER, Peter and Edgar Mitchell (2001). What is consciousness? The Physical Nature of Consciousness: ed. P. van Loocke. Philadelphia, PA: John Benjamins. McTAGGART, Lynne (1987). The Field: The Quest for the Secret Force of the Universe. New York: Harper. MINERO, Luis (2012). Demystifying the Out-of-Body Experience: A Practical Manual for Exploration and Personal Evolution. Woodbury, MN: Llewellyn Publications. MITCHELL, Edgar, and John White, eds (1974). Psychic Exploration: A Challenge for Science. New York: G.P. Putnam’s Sons. MITCHELL, Edgar (1996). The Way of the Explorer: An Apollo Astronaut’s Journey Through the Material and Mystical Worlds. New York: G.P. Putnam’s Sons. MITCHELL, Edgar (2003). Quantum Holography: A Basis for the Interface Between Mind and Matter, Bioelectromagnetic Medicine. New York: Marcel Dekker. MONROE, Robert (1977). Journeys Out of the Body. New York: Doubleday. MORSE, Melvin (1990). Closer to the Light: Learning From the Near-Death Experience of Children. New York: Villard Books. NELSON, Kevin (2011). The Spiritual Doorway in the Brain: A Neurologists Search for the God Experience. New York: Penguin. NELSON, R. D, Jahn, R. G. and B. J. Dunne (1998). Field REG: Consciousness Field Effects: Replication and Explorations. Journal of Scientiﬁc Exploration 12. Pp. 425-430. PEAT, F. David (1997). Infinite Potential: The Life and Times of David Bohm, Reading, Massachusetts: Addison Wesley, pp. 316-317. PENROSE, Roger (1989). The Emperors New Mind: Concerning Computers, Minds, and the Laws of Physics. Oxford: Oxford University Press. PENROSE, Roger (1994). Shadows of the Mind: An Approach to the Missing Science of Consciousness. Oxford: Oxford University Press. PRIBRAM, Karl (1991). Brain and Perception: Holonomy and Structure in Figural Processing. Hilldale, NJ: Lawrence Erlbaum Associates Publishers. PRIBRAM, Karl (1977). Languages of the Brain. Monterey, CA: Wadsworth Publishing. PRIBRAM, Karl (1997). What is Mind that the Brain May Order It? The Noetic Journal, Vol.1. PRIBRAM, Karl (1999). Quantum holography: Is it relevant to brain function? Information Sciences 115. PUTHOFF, Hal & Russel Targ. A perceptual channel for information transfer over kilometer distances: Historical perspective and recent research. Proceedings of the IEEE 64, pp. 329-354. PUTHOFF, Hal (1996). CIA initiated remote viewing program at Stanford Research Institute. JSE 10, pp.63-76. RADIN, Dean (1997). The Conscious Universe: The Scientific Truth of Psychic Phenomena. San Francisco: Harper Collins. RADIN, Dean (2004). Event-Related EEG Correlations between Isolated Human Subjects. Journal of Alternative and Complementary Medicine 10, 2004: 315. RADIN, Dean (2006). Entangled Minds: Extrasensory Experiences in a Quantum Reality. New York: Paraview. RING, Kenneth (1984). Heading Toward Omega: In Search of the Meaning of the Near-Death Experience. New York: William Morrow. RING, Kenneth (1992). The Omega Project: Near-Death Experiences, UFO Encounters, and Mind at Large. New York: William Morrow. RING, Kenneth (2006). Lessons from the Light: What We Can Learn from the Near-Death Experience. Needham, MA: Moment Point Press. RODWELL, Mary (2010). Awakening: How Extraterrestrial Contact Can Transform Your Life. UK: New Mind Publishers. ROMIJN, H. (1997). About the Origin of Consciousness. A New Multidisciplinary Perspective on the Relationship between Brain and Mind. Proc Kon Ned Akad v Wetensch 100, p. 181. SCHEMPP, Walter (1992). Quantum Holography and Neurocomputer Architectures, in Journal of Mathematical Imaging and Vision, Vol 2, pp. 109-164. SCHEMPP, Walter (1998). Magnetic Resonance Imaging: Mathematical Foundations and Applications. New York: Wiley-Liss. SCHEMPP, Walter (1999). Sub-Reimannian Geometry and Clinical Magnetic Resonance Tomography in Math Meth Appl Sci, Vol 22, pp. 867-922. SCHRöDINGER, Erwin (1967). What is Life? Cambridge: Cambridge University Press. SCHRöDINGER, Erwin (2008). My View of the World. Cambridge: Cambridge University Press. SHELDRAKE, Rupert (2009). Morphic Resonance: The Nature of Formative Causation. South Paris, ME: Park Street Press. STRASSMAN, Rick (2001). DMT: The Spirit Molecule. South Paris, ME: Park St Press. SWANSON, Claude (2003). The Synchronized Universe: New Science of the Paranormal, (New York, N.Y: Poseidia Press. TARG, Russel (2012). The Reality of ESP: A Physicist’s Proof of Psychic Abilities. Wheaton, IL: Theosophical Publishing House. TART, Charles (2009). The End of Materialism: How Evidence of the Paranormal is Bringing Science and Spirit Together. Oakland, CA: New Harbinger Publications. TILLER, William (2004). Subtle Energies and their Roles, in Bioelectromagnetic Phenomena. in Bioelectromagnetic Medicine: ed. P. Rosch. New York, N.Y: Dekker. VAN LOMMEL, Pim (2010). Consciousness Beyond Life. The Science of the Near-Death Experience. New York, NY: Harper Collins. WALKER, Evan Harris (2000). The Physics of Consciousness: Quantum Minds and the Meaning of Life. Cambridge: Perseus Books. WIGNER, Eugene (1983). Remarks on the Mind-Body Problem, in Quantum Theory and Measurement: eds. John Wheeler and Zurek Wojciech. Princeton, NJ: Princeton University Press. WILBER, Ken, ed. (2001). Quantum Questions: Mystical Writings of the World’s Great Physicists. Boston, MA: Shambhala.